In this article, we will discuss Azure Cosmos DB. What is a Cosmos DB? Why do we need to use the Cosmos DB? 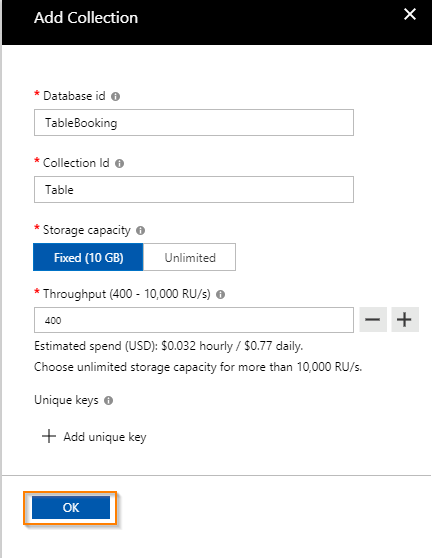 We will also learn how to create a new Azure Cosmos DB account using Azure subscriptions, how to create a new database and collection using Azure, and how to add data to the collection. In this article, we will discuss Azure Cosmos DB. We will answer questions such as: What is a Cosmos DB? Why do we need to use the Cosmos DB? 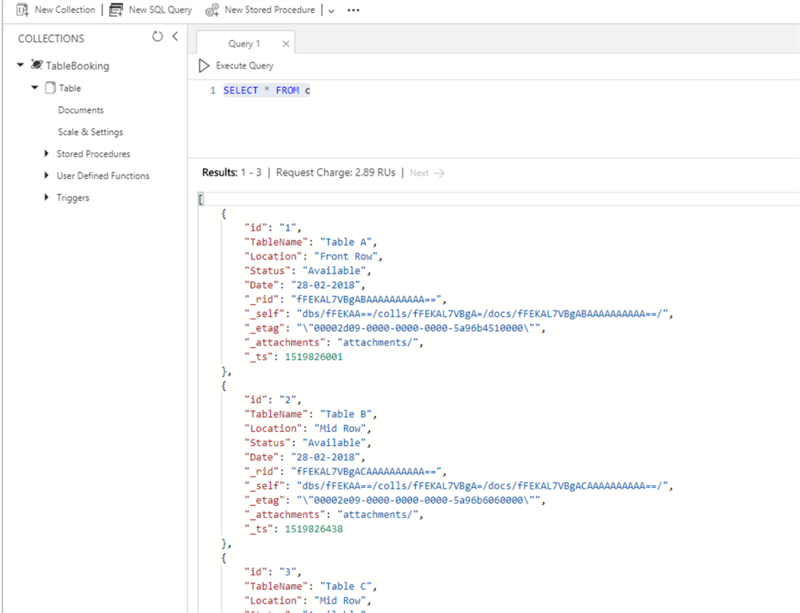 We will also learn how to create a new Azure Cosmos DB account using Azure subscriptions, how to create a new database and collection using Azure, and how to add data to the collection. Why do we need to use the Cosmos DB? Azure Cosmos DB is a globally distributed database service. It supports multi-model approaches such as the document, Key/Value, wide columns and graph databases using APIs. 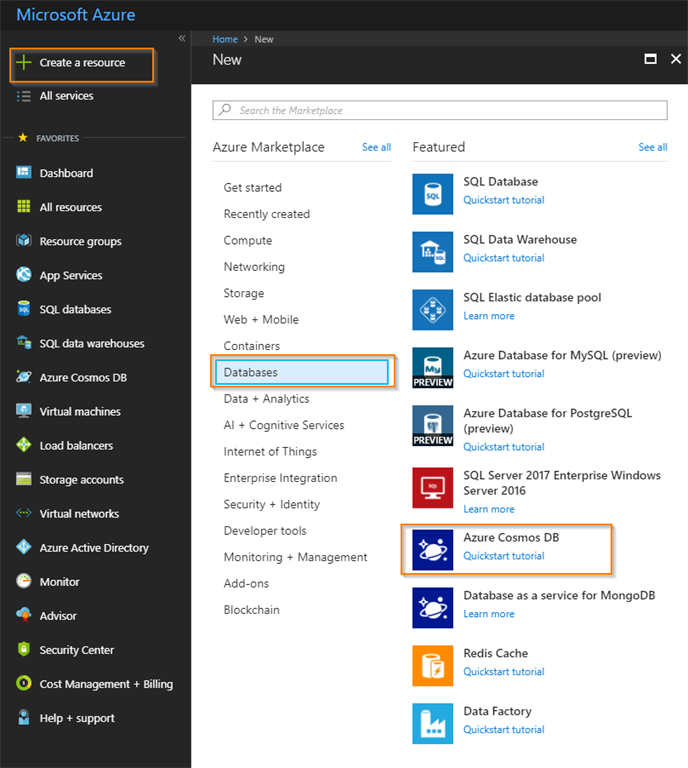 You can learn in this section, how to create a new Azure cosmos database account using the Azure portal with the following guidelines. 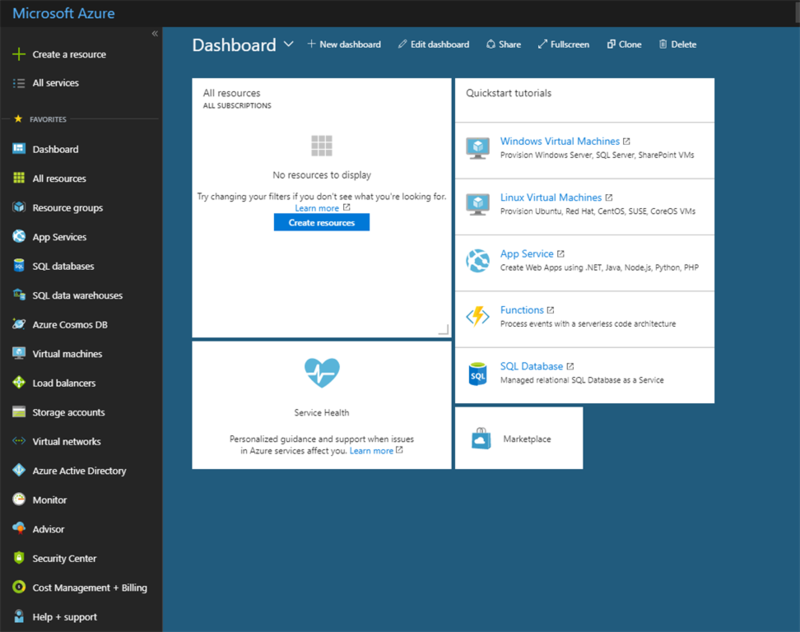 After successfully logging into the Azure portal, you can see the dashboard looks like the following screenshot. 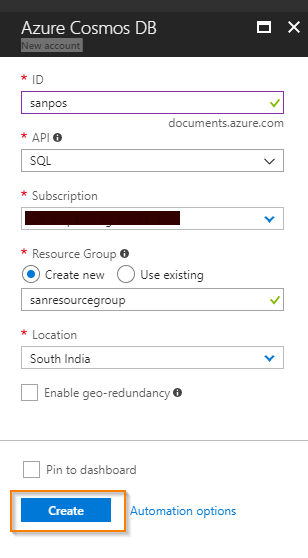 You can go to create a resource-Databases - click the Azure Cosmos DB. 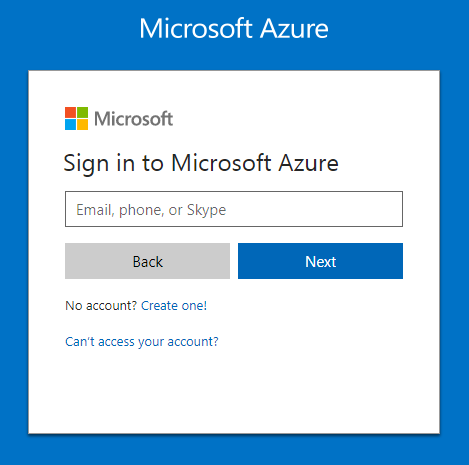 The Azure Cosmos DB new account window will be opened and you can enter the following details, which are required. Then, click the Create button. Now, you can see the notification window displaying the deployment in progress notification. Once it is completed you will get the deployment succeeded notification in the notification window. Then, click the go to resource button. After successfully creating the Azure Cosmos DB account, the Congratulations! 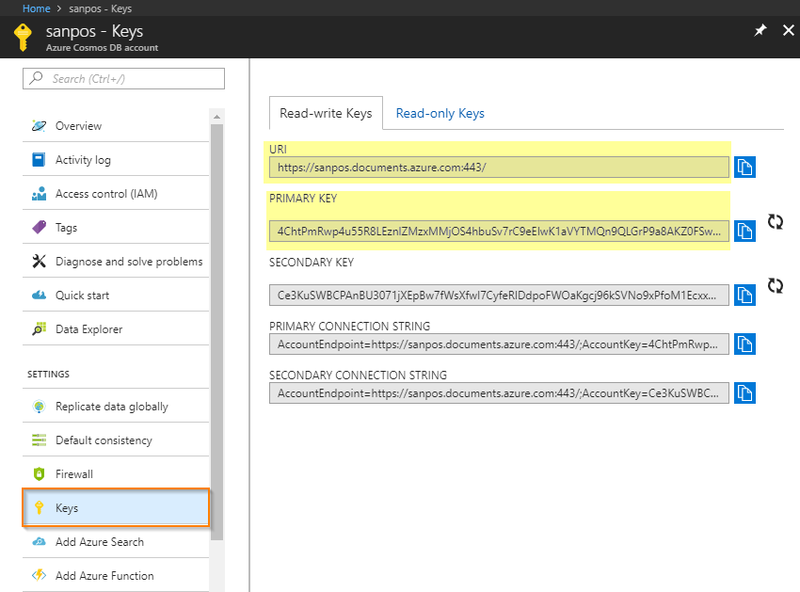 Your Azure Cosmos DB account was created window will be opened, as in the following screenshot. 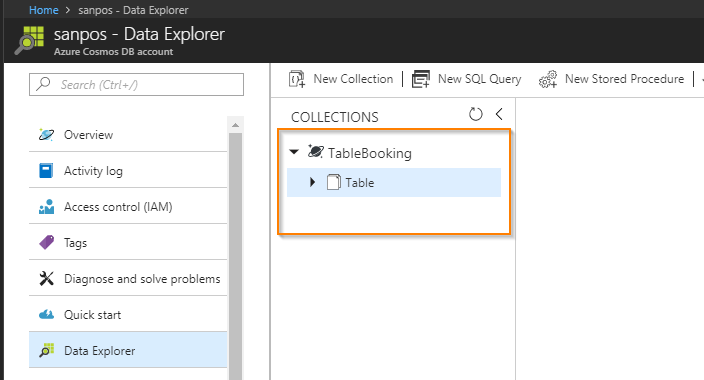 You will learn in this section, how to create a new database and collection in Data Explorer using Azure portal. The Add Collection window will be opened and you can enter the following details, which are required. Then, click the OK button. You can see the new database and collection looks at the following screenshot. 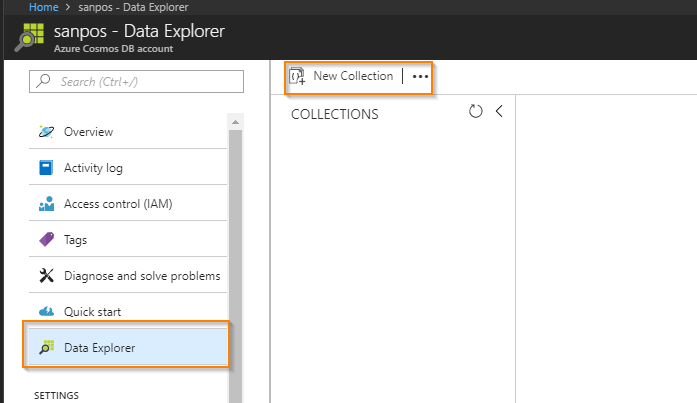 You can learn in this section, how to add sample data to the collection in Data Explorer using Azure portal at the following guidelines. 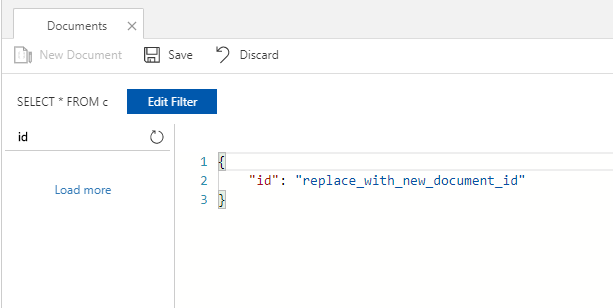 You can go to Data Explorer - Expand the Table collection in the Collection window, click the Documents - click the New Document. The new document window will be opened and add the data to the collection with the following format. 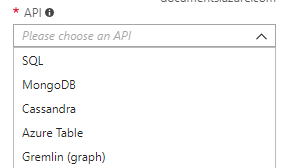 Once you have added json data to the document, click the Save button. 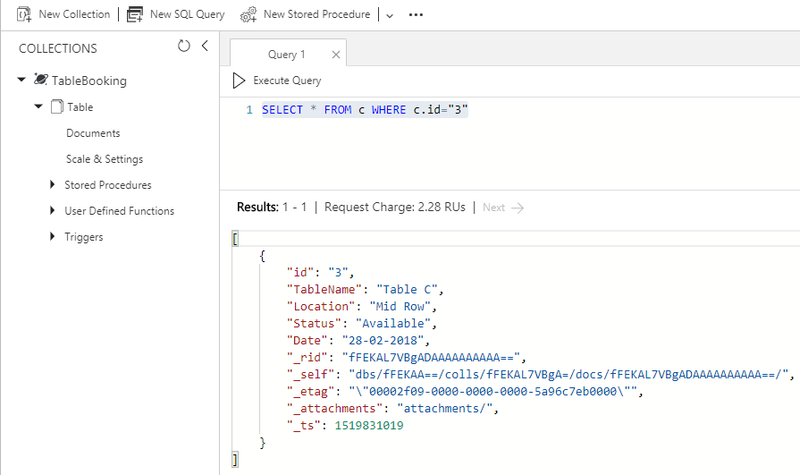 You can learn in this section, how to use SQL query to the collection in Data Explorer using Azure portal at the following guidelines. 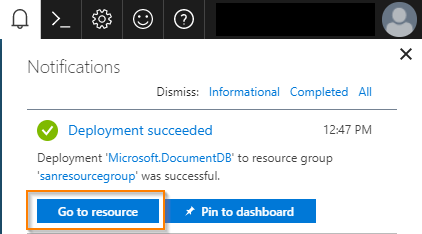 You will learn in this section, how to get the Cosmos DB connection string in Keys using the Azure portal. 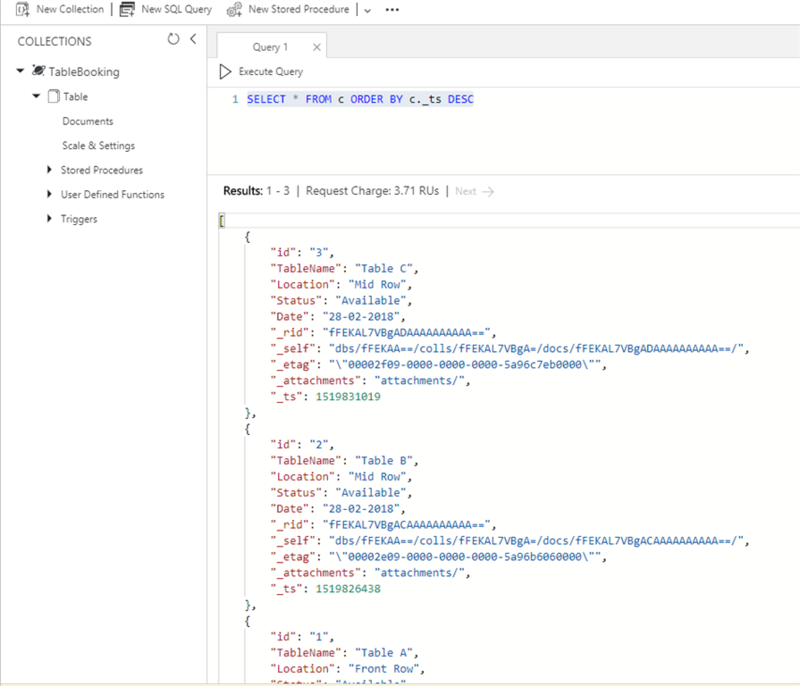 I hope you understand now about Azure Cosmos DB, how to create a new Azure Cosmos DB account using Azure, how to create a new database and collection using Azure, how to add data to the collection using Data Explorer, how to use SQL Query to the collection using Data Explorer and how to get Cosmos DB connection string from Azure. I have covered all the required things. If you find anything missing, please let me know. Please share your valuable comments or feedback to improve my future articles.